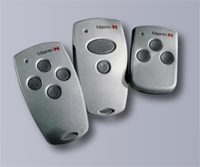 Upward Door Systems is the official rapresentative oand dealer for all Marantec products and accessories including all types of automation for garage doors, gates and roller shutters. European Engineered and North American manufactured, the Upwardor Eagle™ Series Residential Garage Door Operators add value and complete any home's garage door system. Offered in either a belt or chain drive, the Eagle™ Operator can operate 7', 8' or 10' high doors. A variety of affordable options to make your garage a complete “Garage Door System”. DC (direct current) Smart Motor. Torque and Power. Unit will open and close any single or double car garage door. Ultra quiet. Perfect for those with above garage living space. Maintenance free. No lubrication required. Convenient 4 minute light delay. Illuminates even the darkest garage (bulb not included). Fast, easy installation. Completely assembled from factory. 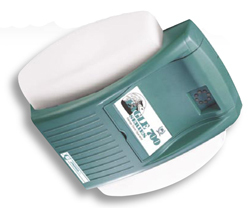 The Upwardor Eagle Series residential garage door operators are designed to perform and built-to-last. We guarantee years of quiet, safe, trouble-free operation. Belt rail or Chain rail may be used with either Model 500 or Model 700 (interchangeable). Belt Rail. Elastomer belt with steel reinforcement for strong, quiet operation. Chain Rail. Strong, quiet and economical. Fully assembled, one piece rails are stronger than most “retail” units – no weak link. Minimal amount of headroom required. Only 1/2” (13mm) above standard headroom requirements compared to other brands, which require 2” (51mm) or more of extra headroom. We provide the best warranty in the industry, which offers you additional protection and peace of mind. Our heavy-duty DC motor with solid state microprocessor is more powerful and dependable than most 1/3 or 1/2 hp units. Your operator will run in any weather conditions providing life long performance. It passed without failure in extreme conditions from –20oF to 140oF (-29oC to 60oC) and tests over 200,000 continuous cycles; equivalent to 70 years at 8 cycles per day. travel when the door senses an obstruction in its path (standard for North America, optional for Export units). Your door automatically operates with the least amount of downward force required ensuring the lightest touch will automatically reverse your door if it comes in contact with any obstruction. When moving, the gentle initial door travel ramps up to full speed midway, and slows down at the end. 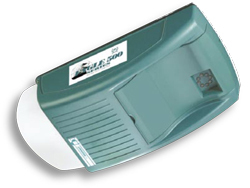 No jarring of your door reduces wear and tear on all components thereby prolonging door and operator lifespan. 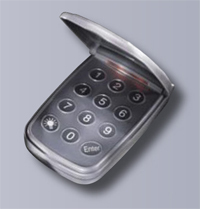 Remote control offers over 284 trillion possible random digital code combinations; foils all “code-grabbing” devices. Senses when someone is trying to pry open the door from fully closed, at rest position and automatically applies counter force to prevent the door from opening. to ensure there are no unauthorized entries into your home. 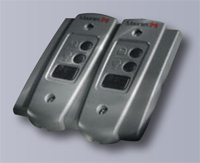 Capable of programing up to three operators on one keyless entry.